Many of our readers know of Marco Polo and his travels, but some in non-Arab countries might not know the name of one of the greatest travelers of all time. A row of camel tracks wandered through the sand near where I sat on top of a large, gently sloping sand dune in Saudi Arabia. Surrounded by good company, we sipped the lighter-colored, Arab-style coffee and ate as we chatted, interrupted only by the Muslims’ prayer time. Over the centuries, those tracks in the sand looked the same, leaving signs of travelers on their journeys. One of those travelers was a man named Ibn Battuta. 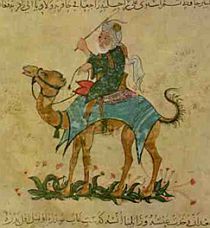 Ibn Battuta, also known as Shams ad-Din, journeyed more than 75,000 miles: a feat not officially surpassed by any individual explorer until the Steam Age about 450 years later. 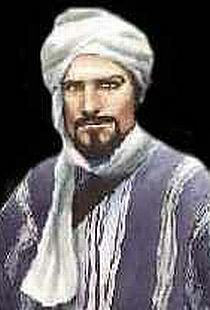 He was born Abū ‘Abd Allāh Muḥammad ibn Baṭūṭah on February 25, 1304, in Tangier, Morocco and studied law. He spent a total of 30 years traveling. Often linking up with caravans or patrons to help ensure his safety, and marrying multiple wives along the way, Ibn Battuta was fortunate to meet people and see the sights in the Middle East, South Asia, Central Asia, Southeast Asia, China, North Africa, the Horn of Africa, West Africa, Southern Europe, and Eastern Europe. His paths and purposes were many. Ibn Battuta’s travels and writings were extensive, and this article can only begin to touch on his many exploits. He made multiple pilgrimages to Mecca. He traveled to Bolgar (in what is now Tatarstan, Russia) just to witness the shortness of summer nights in northern areas. He joined the cortege of a Khatun (a royal woman). He interviewed Emperor Andronicus the Elder in Constantinople. He held the position of kazi (Islamic legal scholar and judge) in the Maldives. He traveled through Central Africa, viewing the oases of the Sahara and houses built of rock-salt and roofed with camel skins, to Timbuktu. He witnessed the deaths of 2,400 people in one day in Damascus due to the Black Death. Ibn Battuta went through Turkey, the Byzantine Empire, part of the lands controlled by the Mongols’ Golden Horde, then through Central Asia before entering India from the Hindu Kush…making that mountain range’s name famous and possibly moving along the route of the Grand Trunk Road discussed in an earlier TSW article. Eventually Ibn Battuta wound up in the court of the occasionally benevolent, occasionally inhumanly ruthless Sultan Muhammad ibn Tughluq (or Tughlak). Ibn Battuta survived by working for the sultan as a judge. Having gained the sultan’s trust, Ibn Battuta was sent on an official visit to China. However, Ibn Battuta was shipwrecked and, darn it all, somehow just never managed to return to Tughluq’s court. Instead, free to pursue his wanderlust again, Ibn Battuta visited Ceylon, Southeast Asia, and China then visited Mecca a fourth time. After his fourth trip to Mecca, he headed home to Morocco. But, it looks like it was too tough to stay in one place and give up the road. I can kind of understand. Maybe, after seeing the world’s people and wonders, Ibn got a little tired of hearing only about lawn cutting and resume updates from his neighbors, too. Soon after arriving in his home country, Morocco, he headed to what was then Muslim Spain then across the Sahara Desert into the African empire of Mali. Eventually, his days as a fiddlefoot ended in 1354 when he stopped traveling and recorded his journeys. There are scholars who speculate that some of the writings might involve some fiction but, even if they are right, it seems there is little doubt that the man did travel far and wide. While on his way to India, Ibn Battuta passed through an area including part of modern day Kazakhstan where, only a few decades after Ibn Battuta’s death, the Mausoleum of Khoja Ahmed Yasawi would begin being built. The mausoleum would commemorate an early mystic and poet who had a powerful influence on Central Asia. In my upcoming article, we will talk about that mausoleum as well as what can be seen as an end…or a beginning. I like the word “fiddlefoot” and will now try to work it into everyday conversation. Great! Here’s to all others who tend to hit the open road.